The innovative, eco-friendly home remodeling company expands offering to include trusted service partnership with industry-leading plumbing brand. As a partner, Treeium is inspired to share in a commitment to innovation, quality and customer satisfaction. The KOHLER Partner Network, which also offers a robust set of resources, training and tools will enable Treeium and its professionals to develop expertise in various facets in order to best serve customers as we continue our growth and expansion. “As a one-stop-shop for homeowners we are absolutely ecstatic to add the best-in-class products that Kohler has to offer to our already amazing line. We believe that combining Kohler’s world-class products and Treeium’s unmatched customer service is a perfect blend to enhance our customers’ experience,” said Treeium’s CEO Moty Ginsburg. Using innovative methods and delivering top of the line products, Treeium has become a household name in the home improvement and design industry and is committed to providing the highest level of customer service to each and every one of its clients. Modernizing and advancing the industry by fostering in a culture of innovation, the team of experienced professionals are driven and excited to provide a customer-first approach to deliver a quality product that fulfills the products satisfaction guarantee. 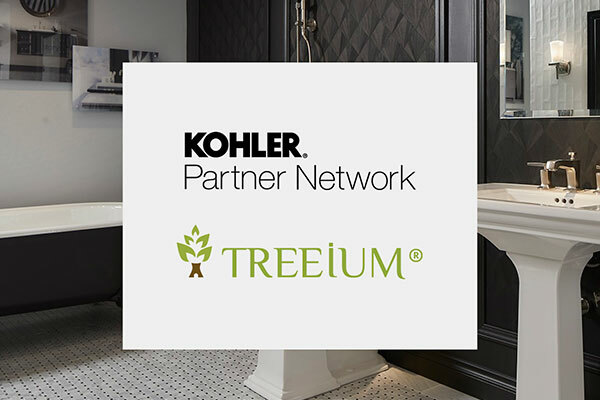 For more information on this exciting new partnership and how Treeium, now supported by the expert products from KOHLER, can better assist you and your remodel needs, visit us today at Treeium.com. About Treeium Inc. Treeium, a general contracting company based in California has over 27 years of experience with a specialty in eco-friendly remodeling. Using innovative methods and delivering top of the line products, believe that change starts from the inside out and what better place to start than your very own home. Striving for excellent customer satisfaction while providing greener solutions, Treeium offers a vast array of remodeling services that help our clients turn their dream homes in an efficient, sustainable, eco-friendly reality.